Inflammation is a defense mechanism of the body that is meant to protect us from internal and external threats. We are exposed to a myriad of potentially damaging toxins on a daily basis – food, water, cigarette smoke, polluted air, and on and on. And we produce toxins internally. Chronic stress, anxiety, negative thinking, bacteria, and viruses – all of these things contribute to the toll that toxins take on our body and mind. Well, the inflammation response helps to heal these things. In fact, without the inflammatory response, we wouldn’t last very long! Inflammation is the body’s attempt to self-heal and is designed to eliminate harmful stimuli. Inflammation heals bruises, cuts, infections, tissue damage and wounds. And, according to a recent study, scientists may soon add Obsessive-Compulsive Disorder, or OCD, to that list. OCD is more common than most people think. The website beyondocd.org estimates that the condition affects 1 in 40 U.S. adults and 1 in 100 children. These numbers add up to about 2.3 percent of the U.S. population – or roughly 7.4 million children and adults. Cognitive behavior therapy (CBT) and prescription medication are the two most common treatments for OCD. Currently, prescribed treatments are successful at about a 70 percent clip. In a research study, subsequently published in the Journal of the American Medical Association: Psychiatry, scientists discovered a link between brain inflammation and OCD. The team recruited 40 participants for the study, comprised of 20 individuals diagnosed with OCD, and 20 non-OCD participants. To test their theory, the research team had to have a way to measure inflammation activity in the brain. Eventually, the team was able to effectively “color code” the brain cells responsible for immune defense (Microglia) by using dye. After administering the dye, the team measured microglia activity within six regions of the brain thought to be responsible for OCD using Positron Emission Tomography (PET), which is also known as a PET scan. 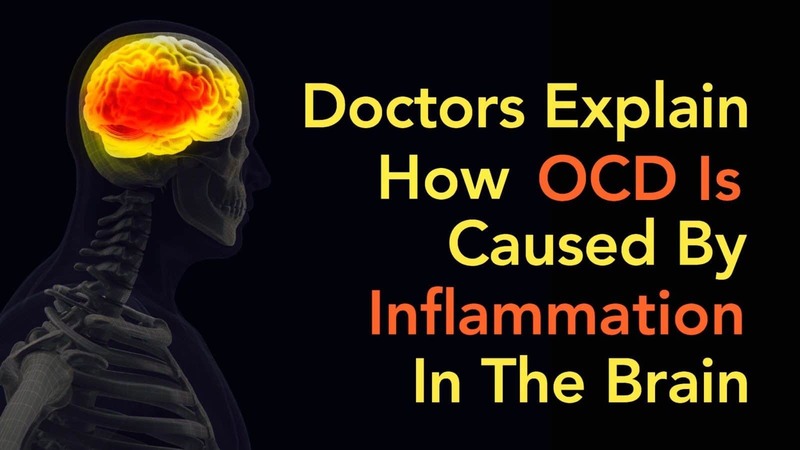 After analyzing the differences between OCD and non-OCD PET scans, researchers found that those with OCD had 32 percent more inflammation in the six brain regions associated with the disorder. Given that inflammation is the cause of numerous diseases, plenty of drugs – both over-the-counter and prescription – exist to correct it. Non-steroidal anti-inflammatory drugs (NSAIDs) like ibuprofen (Advil, Aleve) cross the blood-brain barrier, which, instinctively, would make the drugs at least marginally effective in reducing inflammation within the brain. Whenever the brain is the subject of a research study, scientists, public health officials, and physicians demand additional proof – including verification of treatment efficiency. Scientifically validated treatments may be a way off, but Meyer’s study provides a glimmer of hope to those who suffer from a problematic mental condition.